Description A new unique gameplay, draw gems in all kinds of sizes and match 3 of the same color to score points. Watch out that you do not overload it with too big gems. The bigger gems you combine the more points you can score. How many points can you score within the given time? 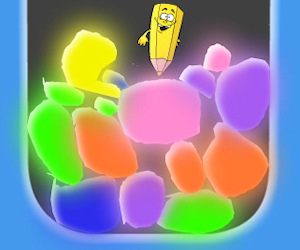 Controls Use the mouse to draw the gems.